The NEW Dr. 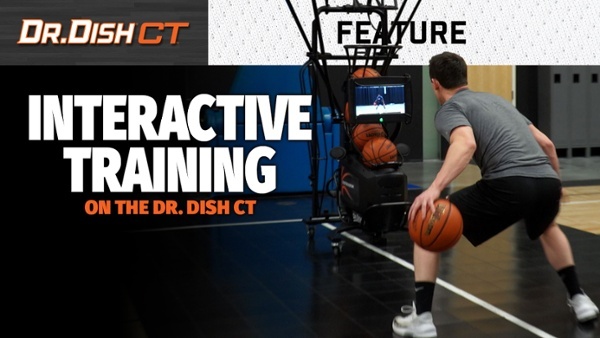 Dish CT machine is revolutionizing basketball training from an interactive standpoint! Much like Peloton training bikes and P90X, players are now able to train alongside their favorite expert basketball trainers and gain knowledge and training expertise directly on the 15.6" touchscreen. This video walks through a player's point of view as they turn on the machine, select their workout, and actually perform the workout with video instruction every step of the way. Not only is the information highly instructional but inspirational and motivational as well to maximize engagement and excitement. No more shooting without a purpose. No more training the wrong way. No more lack of excitement and motivation when training. The Dr. Dish CT is the first and only COMPLETE training solution designed to help players and programs improve faster than ever. It's truly the shooting machine reimagined.